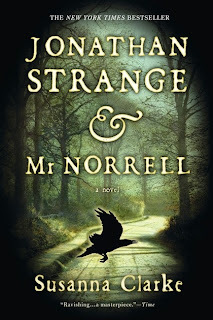 In the spring, I reread one of my favorite books, Jonathan Strange and Mr. Norrell by Susanna Clarke, in anticipation of the television miniseries version. I was SO excited from the moment I first heard about it. I loved my reread and collected the episodes on my DVR so that I could watch the miniseries as slowly or quickly as I wanted. Then I started watching it and couldn't even pay attention to the first hour. Quickly, things that were changed started getting on my nerves. Finally, after maybe one and a half episodes ... I quit watching it and deleted it all from my DVR. Crazy right?! I think that I shouldn't have reread the book. I should have watched the show and then reread the book again next year or something. It is just such a beautifully crafted story that any changes in it were intolerable to me. Was there a film/television adaptation this year that you loved or hated? 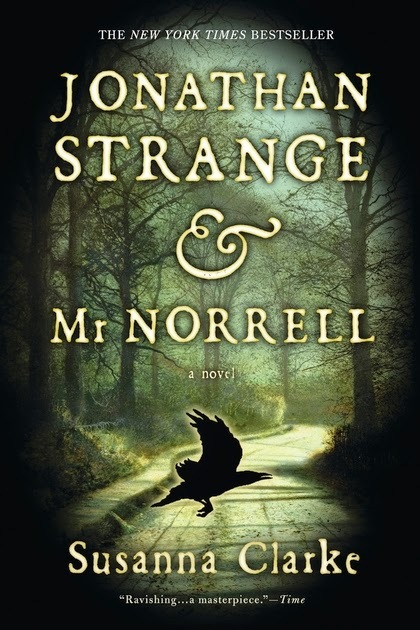 Did you watch the Jonathan Strange miniseries? I'm still deciding whether I want to give the Shadowhunters television show a chance next month. It makes me nervous. But the Pride and Prejudice and Zombies movie looks kind of awesome! I just reread JS&MN and was reminded how much I love it too. I hadn't watched the series though I was intrigued by the idea, but if I do, now I am forewarned! I'm a little bit interested just to see what they did with it but I wouldn't expect it to fulfill my hopes for an adaptation. To be fair, I don't think you could adapt that book without turning it into something else. It's so very literary. I read and then watched Anna Karenina this year (the most recent film version), which was gorgeous and inventive filmmaking but a total distortion of the book. I also re-watched the Gwyneth Paltrow version of Emma: good actors, terrible script. I definitely had high expectations because of how long it was in the works. I almost prefer sometimes if they use the book as a source but then take a lot of obvious liberties and make it into something different. It's easier to put that away as a different thing! I love the book, and I loved the BBC adaptation. (In fact, we've just decided to do a Jonathan Strange rewatch between Christmas and New Year.) I thought they did an excellent job conveying the feel of the book in a different medium. (And I'm normally super picky and dislike most TV/film adaptations.) I find it so interesting how these things will always strike people so differently. That's fascinating to me. Granted, I'd only read the book once before watching the mini-series, so I didn't know it nearly as well as you, but I adored the series and can't wait to show it to Jason (once I can get him to read the book!). I'm sorry it didn't work for you. Oh dear, well, I still haven't watched this miniseries even though I have said I want to -- I love the book so so much that I'm afraid no adaptation could ever compare for me. I'll still try it, someday, probably, but I will try to regulate my expectations. 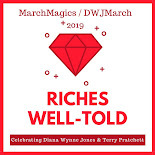 I read JS&MN in January and absolutely adored it, but when I started the miniseries I was really underwhelmed. I guess filmmakers could never live up to the version that's in my imagination. Whew. So happy that someone else is with me on this. I was starting to feel bad that I didn't enjoy it like I thought I should!